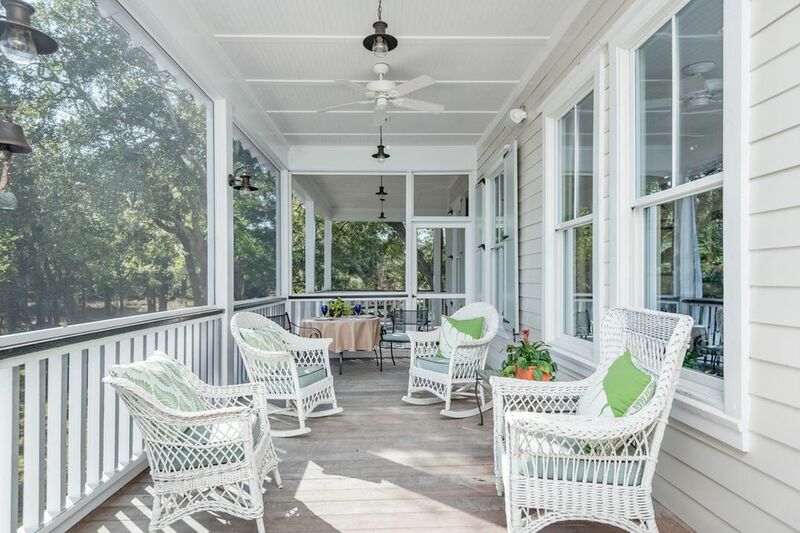 With summer not too far away, we’re looking forward to cool drinks on a shady porch – and if we could do that here, we would! 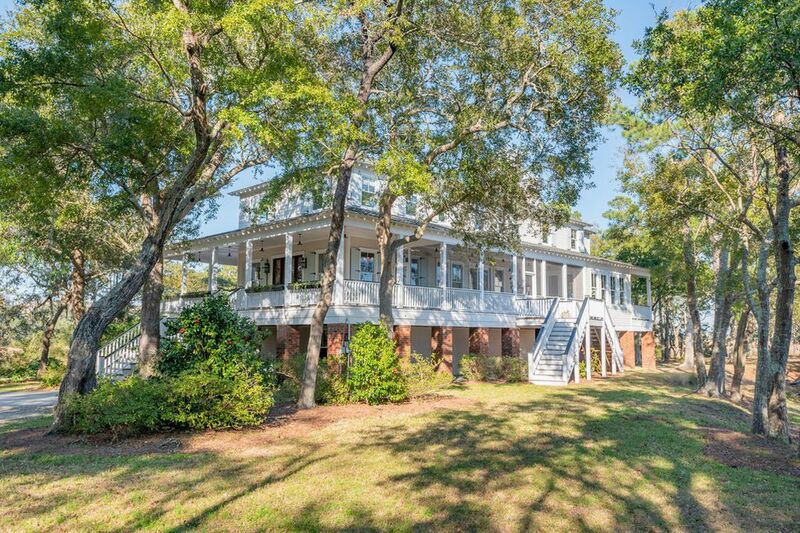 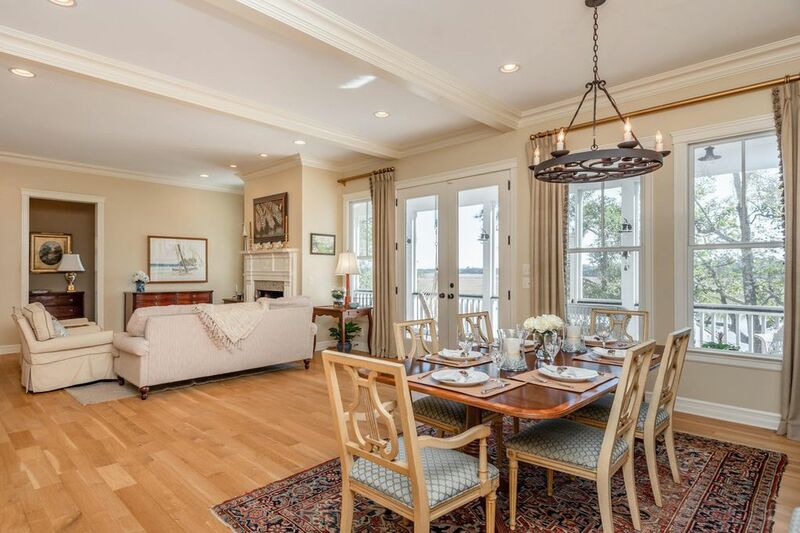 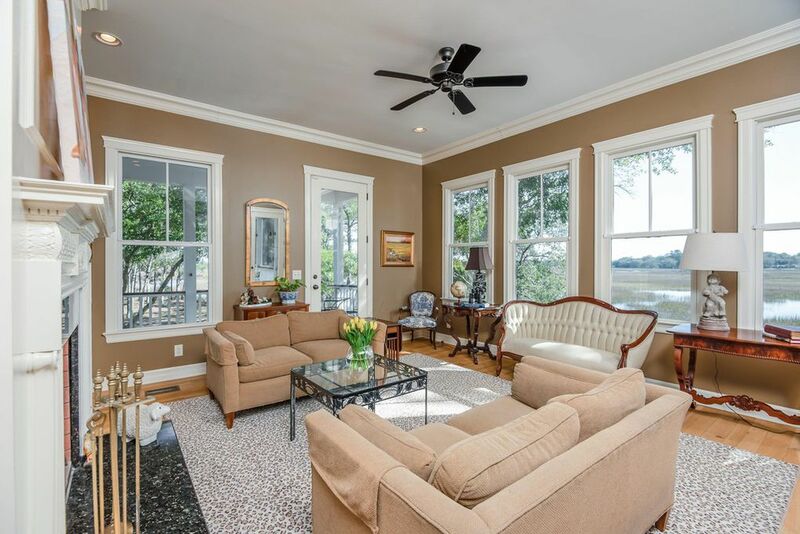 This custom home is on James Island, just outside of Charleston, SC, and sits on a property surrounded by marshland. 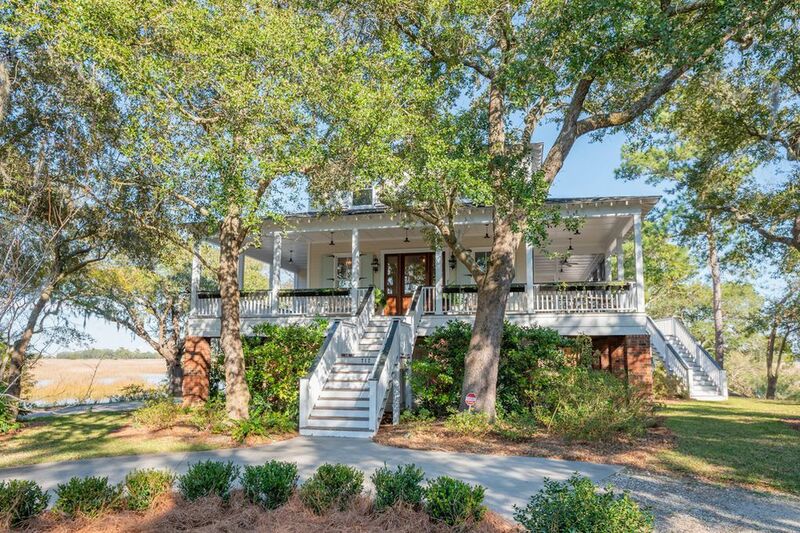 In the tradition of low country homes, it’s set up high on brick pillars with a beautiful wrap around porch! 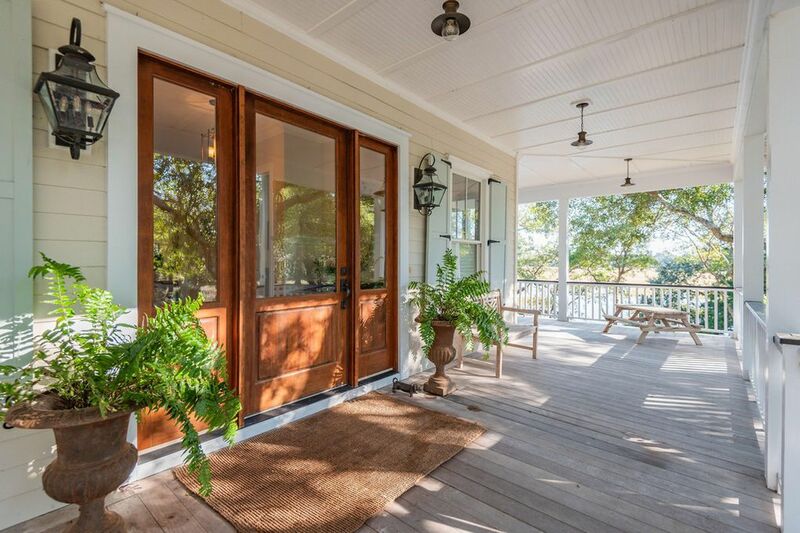 The huge glass front door is so welcoming! 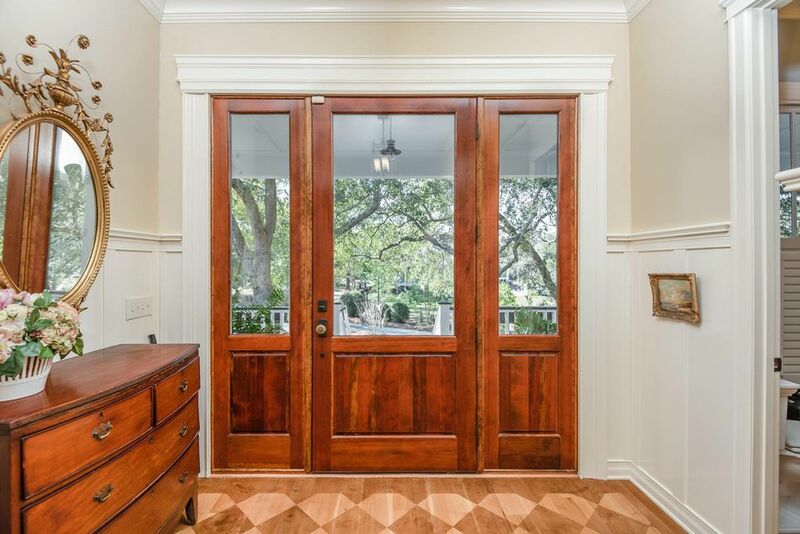 And we love the patterned wood floor in the foyer. 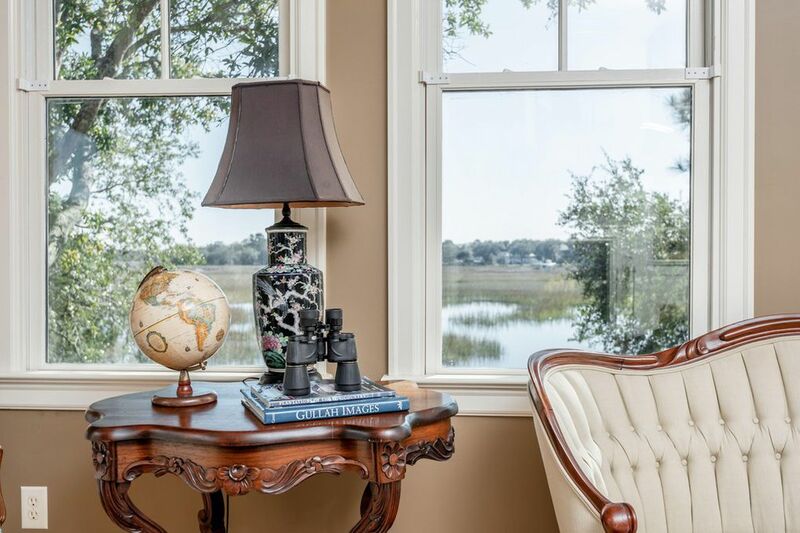 Windows in the living room are big and there are plenty of them, to take in those wonderful views. 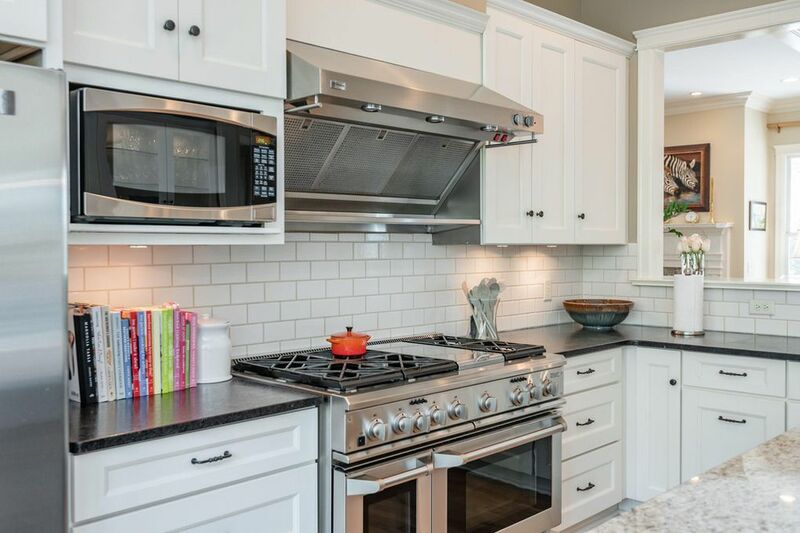 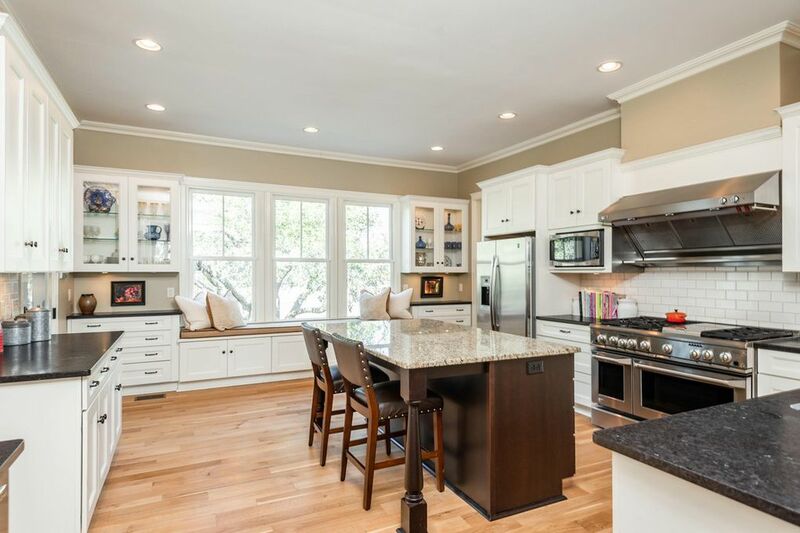 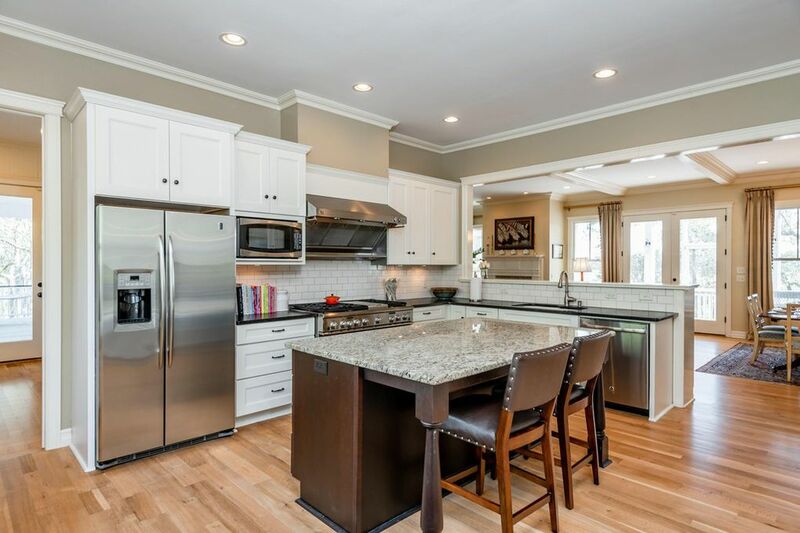 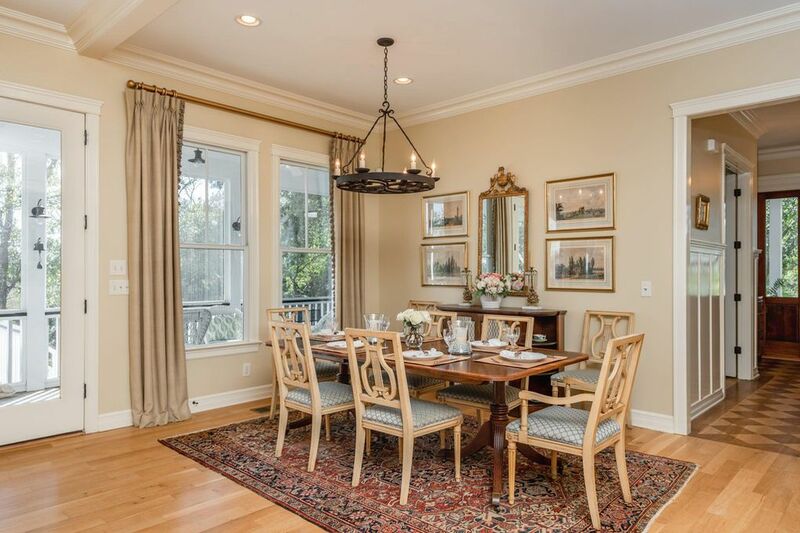 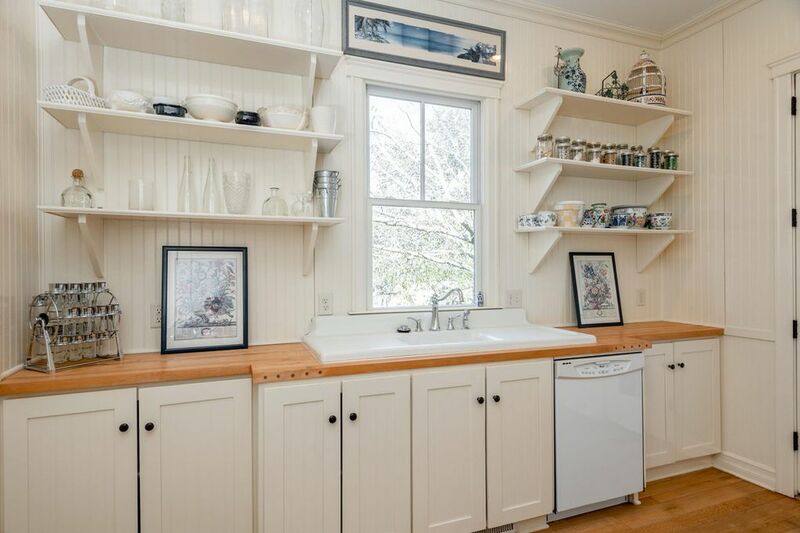 A big custom kitchen opens up to the dining room and family room. 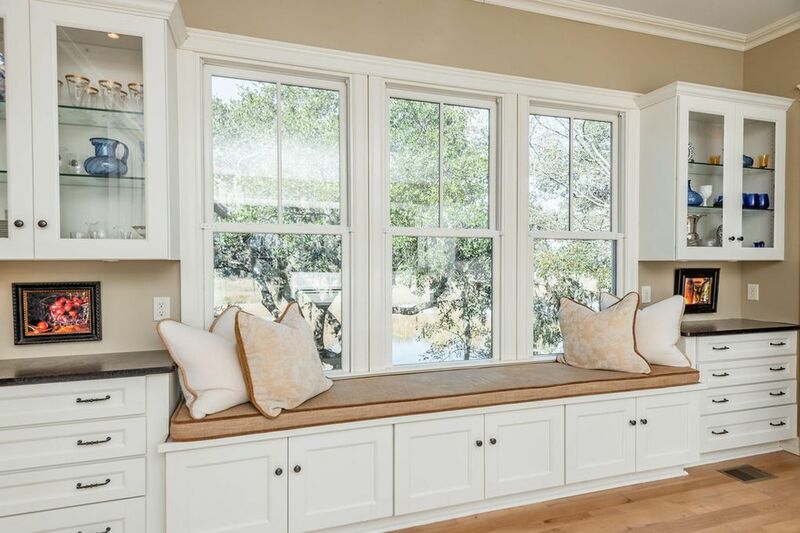 There’s seating at the island, and one of the best windows seats we’ve ever seen (scroll down a few photos). 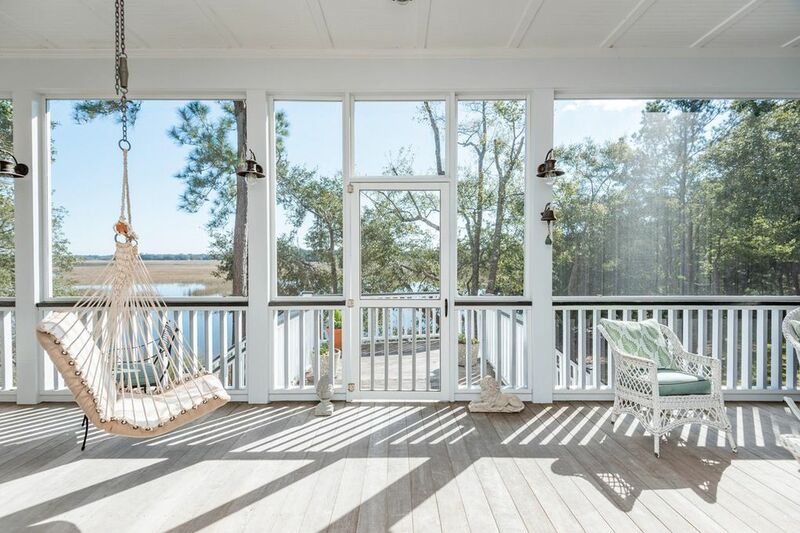 We’ll be sitting here with a cup of coffee, if we’re not out on the porch. 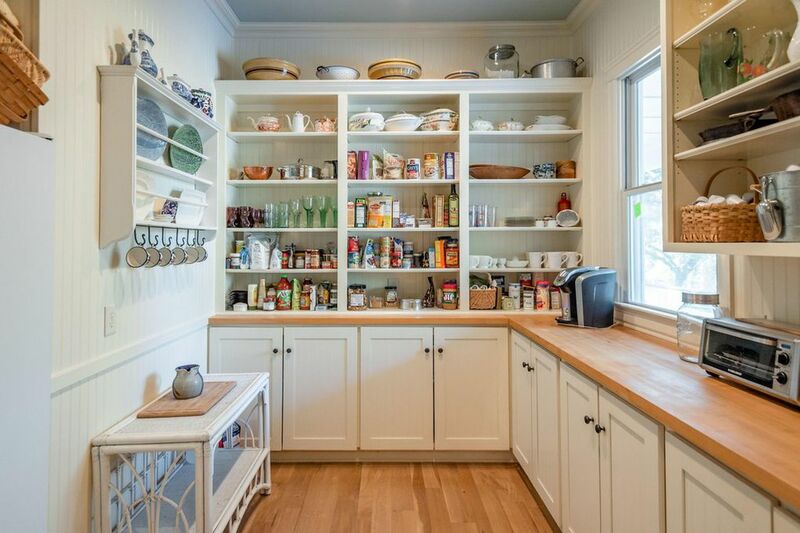 Check out this great big walk in pantry! 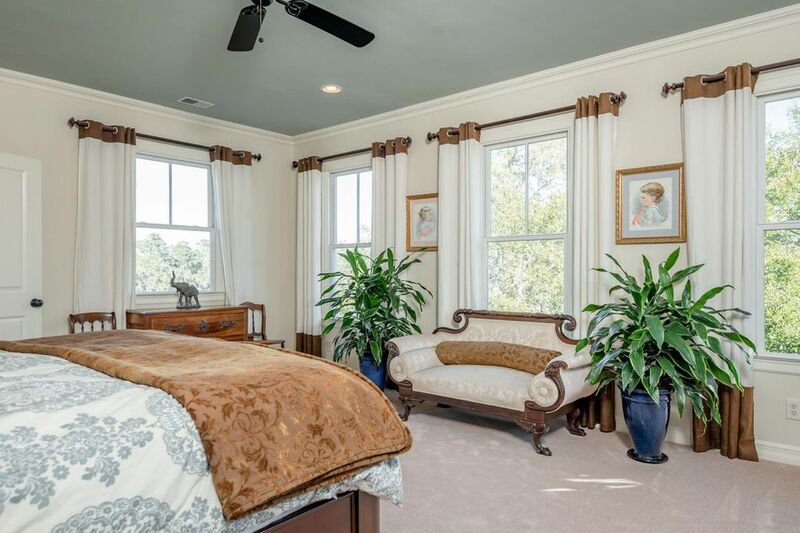 The master bedroom is beautifully decorated, and also has tons of windows looking out to the spectacular views. 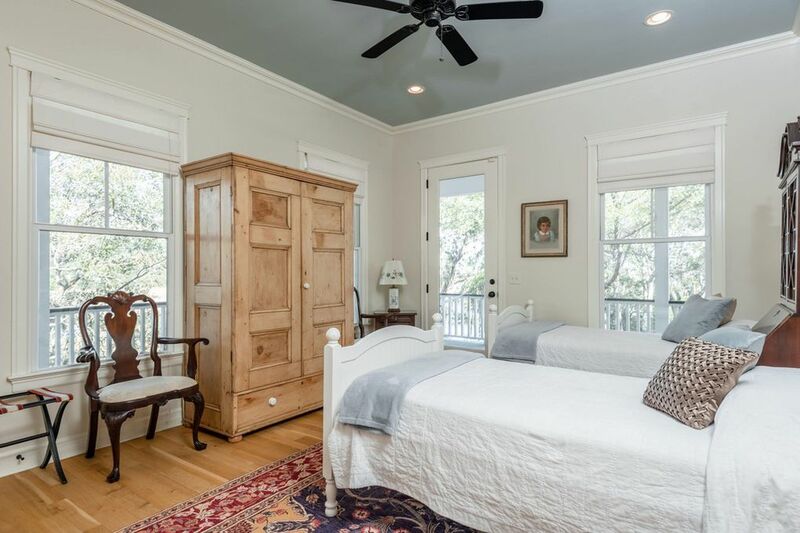 Some of the other bedrooms have direct access to the wrap around porch, too.